TAKE YOUR PLACE ON STAGE AS A PART OF THE TOTALLY TROLLWOOD MUSICAL! Totally Trollwood Musical allows middle school students to claim the stage! Gain performance and production skills training as you stage a musical under the guidance of professional educators and artists. During the process you will learn character development, proper vocal technique, dance moves, set construction and so much more! This program welcomes beginning to advanced students. AGES: 11–14, AS OF AUGUST 31, 2019. OPEN ENROLLMENT. PROGRAM FILLED ON A FIRST COME FIRST SERVED BASIS. Orientation: July 1, 7:00pm at Trollwood Performing Arts School at Bluestem. Required for student and at least one parent/guardian. Prerequisite: None, everyone is welcome! No auditions to participate. Audition process to assign roles. Registration Deadline: May 17; students are encouraged to enroll early, program filled on a first come, first served basis. NOTE: Registration remains open after this deadline, subject to availability, as enrollment is capped. However, a $25 late fee will be assessed. Time: Monday–Thursday, 8:30 am–4:30 pm full cast rehearsals. Fridays, 8:30 am–4:30 pm rehearsals for featured roles and others as scheduled. Lunch: Students responsible for bringing their own lunch, snack and beverages daily. 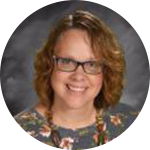 TOTALLY TROLLWOOD MUSICAL IS PROUD TO PRESENT: DISNEY’S BEAUTY & THE BEAST JR.
Joan Degerness is currently a Music Specialist in Moorhead, MN and teaches Grades K-4 at Dorothy Dodds Elementary. She has been a music educator for thirty years. Joan was the Artistic Director of the Red River Boy Choir from 1997-2005. She has also been an active church musician and soloist for over twenty years, serving as a worship leader, accompanist and children’s choir director of Hope Lutheran Church in Fargo. Ms. Degerness attended Trollwood Performing Arts School through her junior high and high school years. Her “claim to fame” was playing the part of Dorothy in The Wizard of Oz (1983). She has also served at Trollwood as an administrative assistant, Imagine Children’s Choir Director, Children’s Choir Director for Joseph and the Amazing Technicolor Dreamcoat (2008), and an ArtSpark Instructor since the program’s inception in 2004. Joan helped to start the Trollwood Children’s Theatre program in 2012 and serves as the program’s Artistic Director and Stage Director. She has also been the Director for the Totally Trollwood Musical since 2013. Joan holds a Masters in Curriculum and Instruction degree from the University of St. Thomas in St. Paul, MN. She earned her Bachelor of Music degree in Public School Music (K-12) from Concordia College, Moorhead, where she graduated with honors. She resides in West Fargo, ND with her husband, Dan. They have three sons, Jordan, Walker and Parker. NOTES WILL BE ADDED ONCE PROGRAM BEGINS! The Totally Trollwood Musical offers cross-curricular arts education and training to middle school students. It also provides valuable performance experience and unique, differentiated instruction tailored to the needs of every student. The multiple curricular areas and applicable standards and benchmarks are listed below. Not all standards and benchmarks are addressed in every opportunity, but a significant number of standards and benchmarks within multiple disciplines are represented. *This standard is not applicable in Totally Trollwood Musical.